Apple‘s new development center in Haifa is looking for hi-tech engineers and joins Intel and Microsoft by expanding in Israel. Apple‘s new development center in Haifa is looking for hi-tech engineers as the huge tablet maker joins Intel, Microsoft and General Electric in expanding its operations in Israel. The recent recruiting follows by one month Apple’s advertisements for workers for Anobit, an Israeli flash memory start-up that Apple bought out in January for a reported $400 million to $500 million. Apple’s in-house chips make it less dependent on outside suppliers while allowing it to build its own engineering team for the “post-PC” era. 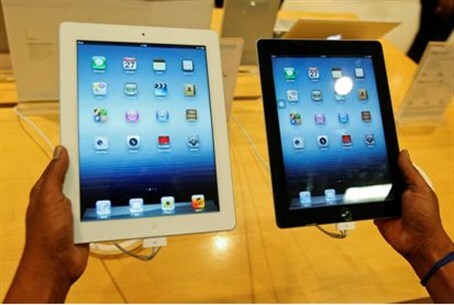 Last week, Apple offered its new iPad for sale in Israel and eight other countries, bringing to 57 the number of countries where it is being sold. Apple’s third generation tablet includes a new Retina display, a new A5X chip with quad-core graphics and a 5 megapixel iSight camera with advanced optics.